Gotta get me one of these….Skies of blue and seas of green. 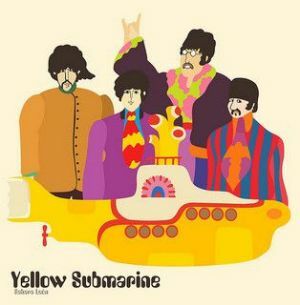 A Yellow Submarine floating hotel! 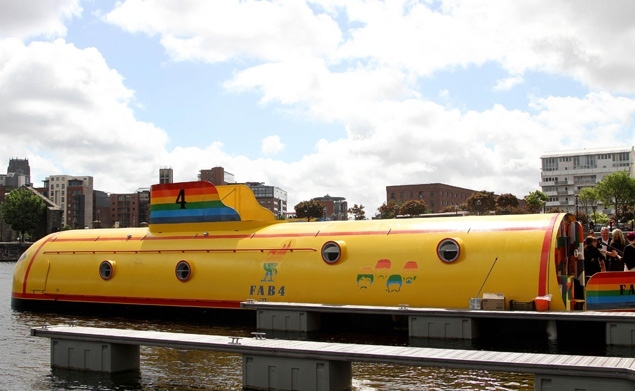 A sub used in the 1990 Sean Connery film “The Hunt for Red October”. This 80ft narrowboat hotel on the Albert Dock has just opened at the weekend with a grand celebrity celebration. 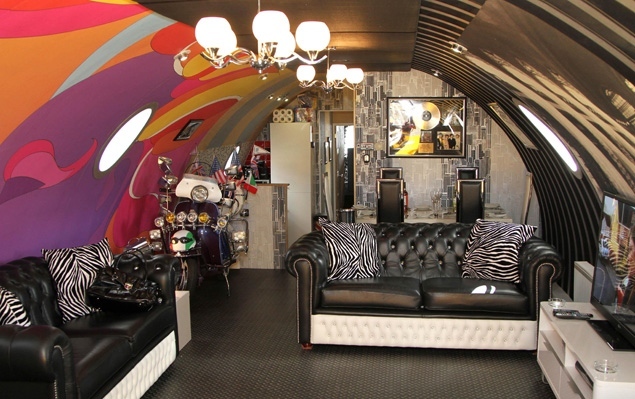 It can accomodate up to eight people and has three bedrooms and a lounge. Classed as a five-star standard hotel, the Fab 4 as it is named is well booked up until October with Japanese and American visitors. I could just imagine retiring on this after a hard days night or use it as a day tripper eight days a week going on a magical mystery tour with a ticket to ride when I’m sixty four with a little help from my friends with or without you. Anyway, looks like a good little Merseyside Advertiser if you tootled down the English canal system then across to the Rhine…….probably better PR than an Expo Festival. I believe there is going to be a Batman version. If you have a moment to spare at the Albert Dock then take a peek, it’s worth it for the novelty value. See me at Salthouse Docks!